It’s been a strange time in America these last few weeks, so we’re heading into this Roundup trying to focus on some good things for our readers and from our contributors. Here are things to toot happy horns about, and inspiring reads in the aftermath of some disconcerting divisiveness. First up, Lookout author Clare Beams has received a ton of wonderful attention recently for We Show What We Have Learned. Most notably, perhaps, from the New York Times! “Stories as well executed as these are their own reward, but it’s also clear from the capaciousness on display here that Ms. Beams has novels’ worth of worlds inside her.” But there was love too from many others, including Kirkus‘s list of Best Debut Fiction of 2016, Paste Magazine, Parnassus Books, the Fiction Writers Review, the Boston Globe, the Minneapolis Star Tribune, the Charlotte Observer, the Wilmington Star News, Shelf Awareness, Brit+Co, and Flavorwire, to name a few more notables. You can also hear Clare talk with fellow debut story writer April Ayers Lawson on WUNC’s the State of Things. 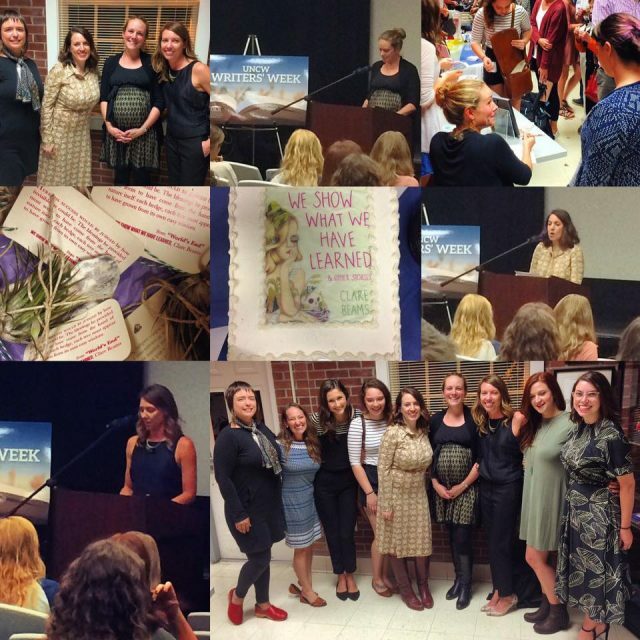 And, here’s a roundup of photos from Clare’s very celebratory book launch here at UNCW. Could you possibly need more convincing that this is a book you should read? Lookout author Ben Miller’s Mural Speaks! project, the aim of which is to translate William Carlos Williams’s “The Red Wheelbarrow” into each of the 140 plus languages currently spoken in Sioux Falls, is still looking for submissions. We love the way the project celebrates the diversity of the urban midwest. 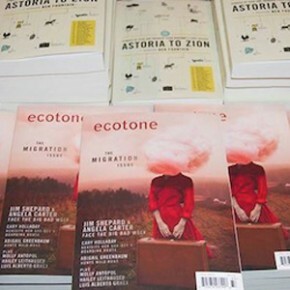 Oh, but there’s so much more to celebrate from Ecotone contributors! We’re thrilled that Dan Hoyt is the winner of the inaugural Dzanc Books Prize for Fiction for his novel This Book Is Not For You. Dan’s story “The Mad King” is one wild ride, in our current issue. 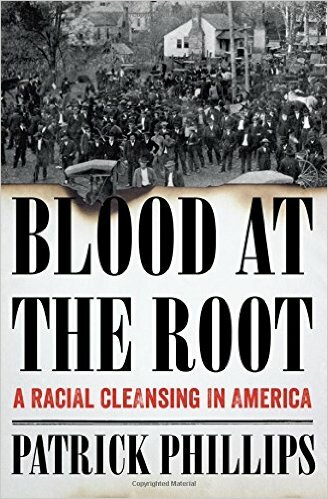 Patrick Phillips’s book Blood at the Root: A Racial Cleansing in America, out this September, is reviewed in the Washington Post. You can read an excerpt from the book at Longreads. Lynne Thompson and Douglas Kearney are included in this fabulous Black Lives Matter Poetry Reader. Annie Finch’s poem “Moon of Our Daughters” is featured on the Academy of American Poets’ Poem-a-Day. Megan Snyder-Camp, who has not one but two books out this fall, has three poems in the Sewanee Review. Belle Bogg’s The Art of Waiting is one of Oprah’s favorite books of 2016! In their October issue, Poetry Magazine published Issue 21 contributor Laurie Clements Lambeth’s poem “Cusped Prognosis,” which was originally part of her essay, “Going Downhill From Here” in Ecotone‘s current issue. We hope these engaging reads offer some perspective, comfort, and enjoyment. We’ll see you back here soon for our next Roundup!